If you’re thinking about subscribing to PrivateVPN, you probably want to know whether this VPN provider is worth your money or not. Is it strong enough to bypass Internet restriction and protects you from online threat? Does it work greatly in defending your privacy? How much does it cost? Is there any discount? To get the answer, keep reading this PrivateVPN review. Hope it can help you. PrivateVPN provides one package, so you don’t need to spend time in figuring out what features you need. You only need to choose how long you want the VPN protection. The VPN is priced slightly cheaper for people that decide to commit for longer periods of time. There is no discount on 1-month plan which is 7.67 USD for one month. If you prefer 3-month plan, you get 55% off. It costs $14.63 USD for three months and $4.88 USD per month. The yearly plan is 65% off. If you purchase this plan, you will get one extra month. It costs $49.68 USD for 13 months and is $3.82 USD per month. This useful service is worth the money. The providers accepts different methods of payment including PayPal, Bitcoins and a variety of credit cards such as Visa, MasterCard, American Express, JCB, Discover and Diners Club international. You are suggested to choose to pay with Bitcoins for added anonymity and privacy levels. Minimal details are required for this option. All plans come with the following features. PrivateVPN offers a 30-day money back guarantee to all new customers who choose to cancel before the end of the 30th day of their subscription. They have confidence in their product and believe that you will love it after using it. If you can’t access Netflix US, live up to the high-speed standards and geo-unlocking claims, the provider will refund you. All refunds will be processed within 5 business days from the confirmation date. Besides, it provides a free trial. During your trial period, you’ll be impressed with the service quality, capacity and functional capabilities. It’s a risk-free service. PrivateVPN is a full featured VPN service. It gives you the highest level of security that protects your data, personal information and communications from hackers and thieves whether you’re connected at home or on public Wi-Fi. Its variety of VPN protocols will meet your specific needs. This VPN can be used to hide your IP address and location. You get complete anonymity and online privacy from marketers, search engines and government surveillance. The large number of servers is located in excellent locations around the world. With them, you are able to bypass censorship and access your favorite content without restrictions. As this service offers fast speed and unlimited bandwidth, you will get satisfied experience when streaming videos. It does not require tech skills to use this VPN due to the easy installation and user friendly interface. This affordable service starts from 3.82 USD per month, working for all users. It is a great tool to keep safe, free and private on the Internet. PrivateVPN has over 100 servers in 56 countries. You can connect to servers in the UK, USA, Canada, Brazil, Australia, South Korea, Japan, Singapore, and Russia etc. No matter where you are, you can connect through any of the provided locations and switch to another location at any time. Why do you need remote servers? Some of you may want to access content with geo-restriction. To access a service which is only available in China, US, UK or other countries, you need to connect to needed servers. Some of you may need remote servers to play newly released games as they don’t have servers at place you live. With this VPN, you don’t have to move to another place to get access to your favorite services. Some of you may need remote servers to spoof your location to escape from government censorship. Some of you may want fast speed on certain websites via different servers. PrivateVPN is able to let you meet those needs. With worldwide server location, you can get the best connection when at home or traveling the world. PrivateVPN utilizes military-grade AES 256-bit encryption code with 2048-bit DH key to ensure that your Internet connection is always untouchable. If others want to break the 256-bit of advanced encryption, they have to try an astounding number of distinct combinations which is almost impossible. Is it really powerful enough? It is worth to mention that the same security is employed by the U.S. government and military. 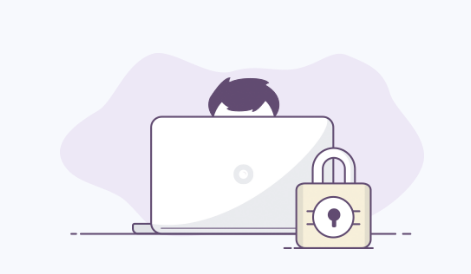 The encryption protects both digital data stored on your devices and transferred via the Internet, keeping your data private from cyber hackers, ISPs, surveillance and other third parties. Likewise, it provides a number of protocols. You can choose from OpenVPN with UDP/TCP, OpenVPN over TCP, or Transmission Control Protocol, OpenVPN over UDP, or User Datagram Protocol, L2TP/IPsec, L2TP, or Layer 2 Tunneling Protocol, IPsec, PPTP or IKEv2. OpenVPN should be your first choice as it is equipped with the highest encryption. PPTP is pretty fast and you can use it for streaming. If you don’t know which protocol you should use, set it to automatically pick the VPN protocol that best suits your network on VPN client. No matter you’re on the road, at the airport, in your local library, enjoying a latte in your favorite coffee shop, or checking your email at the mall via public WiFi hotspot, it secures your connection by creating security layers over the tunneled connections, keeping your IP address, your location, your Internet activity and your personal communication private to protect your identity. Connection speed is an important factor when selecting a VPN. Everyone wants a fast Internet connection for downloading, uploading and streaming. PrivateVPN comes with high performance. According to the provider, it is one of the fastest VPN services. They optimize their global network to offer the fastest VPN speeds possible. They keep on expanding their servers and striving to provide ultra-high speed server connections. The provider purchases Internet capacity directly from the IP transit provider to skip intermediaries in the form of hosting companies and offer the best quality to the customers. It won’t take long for packet of data to go through from your device to the server. In addition, it helps you avoid ISP throttling by encrypting your online traffic. The provider itself does not limit your speed and bandwidth. With higher speed, you will get better quality of your streaming video and audio. You can fully enjoy the video games without noticing buffer. Importantly, PrivateVPN does not collect or log any traffic or use of its service. The provider states that they do not track any activities outside of their site. They only record your email address to contact you and verify your subscription. Nothing else that can be traced back to you is recorded by the VPN. In this case, the provider can’t actually provide anything at all about its subscribers to the authorities if it is asked to comply with an investigation using a warrant. Your privacy is guaranteed. There are many restrictions in using Internet nowadays. Some companies restrict network access to employees to minimize distractions. Some universities often block access to keep potentially questionable material from students. Some government creates firewall to block websites that they considered as a threat. Some websites and services use techniques for geo-restricted content. They use different methods to determine the location of user to decide whether the access should be allowed or not. HBO Now is only available to residents of the United States, so does Netflix. To enable you to access restricted content freely, PrivateVPN offers an alternate route around content filters by allowing you to choose any remote server from its network. You can choose the needed IP address to mask your location, helping you bypass restriction and remain anonymous. Defeating geo-restrictions imposed on streaming channels like Netflix, Hulu, HBO Go, and BBC iPlayer is where PrivateVPN truly shines. Actually, most VPNs have dropped the towel and given up when it comes to unblocking American Netflix due to VPN block. Besides, it is powerful enough to circumvent the Great Firewall of China to enable users in mainland China to unblock Google, YouTube, WhatsApp, Instagram and other banned services. You don’t have to tolerate the high Internet censorship and various limits in China, Russia, Iran and Turkey etc. Every Internet user deserves Internet freedom. A large number of users want VPN for P2P as many countries come down really hard on P2P services and users who download content illegally for free. Copyright infringement is taken seriously in many western countries. Many users have received notices whenever caught using P2P. It is unsafe to download copyrighted content without protection. PrivateVPN allows users to leverage P2P/Torrent. You can use its UK or Sweden servers. Since the service buys high quality network capacities from top providers in the UK, just feel assured to receive good bandwidth speed and unlimited data. By the way, some servers located in other countries can’t be used for torrent. It will tell you which one work with P2P/torrent. Get VPN to protect yourself when enjoying the free resource on the Internet. PrivateVPN has intuitive and user-friendly VPN apps for various computer and cell phone systems. You can download the VPN app from their website, Google Play Store, or Apple Store. It is compatible with Windows, Mac, iOS, Android, Linux and router etc. No matter which system you are using, it has got you covered. Besides, a single subscription can allow you to access the VPN on at least six different personal devices/platforms at the same time. The instant setup lets you unleash the Internet in just 60 seconds whether you’re on a computer, smartphone, tablet or router. The website kindly offers setup guides for routers including DD-WRT, Tomato routers, and many others. Simply download and connect to surf unrestricted. If you meet any issue on VPN setup or other aspects, contact the tech support. You will get instant help. PrivateVPN provides offers 24X7 customer support. They assist their customers through live chat, email and remote desktop help through the TeamViewer system. Live chat option is appreciated as everyone wants to fix their in time. If you have difficulty in setting up VPN, they can help you remotely via TeamViewer. They are ready to help you in any way they can. Contact them any time if you need support. They provide quick answers and good solutions, helping you overcome the obstacle in no time. What People Say about PrivateVPN? Easy to install, easy to use, excellent customer service. I searched around quite a bit for the best VPN service and PrivateVPN came up again and again. It has exceeded my expectations in every way. If you’re looking for an excellent VPN solution with excellent customer service and a slick, simple setup, PrivateVPN is your best bet. Good amount of servers but one in South Africa would be a real plus. Runs torrents at a good speed and Netflix is also open to me for US content which is a big selling point for me. Love It! Highly recommended. PrivateVPN is easy to use. With OS X it’s as simple as a click on an app. I was able to watch UK catch up channels abroad, and view websites that are restricted to locals. Unlike many other VPN providers I tried, I found little or no loss in internet speed, which means streaming video was no problem. Convenient, good and reliable service at a great cost. Well done to the PrivateVPN team!